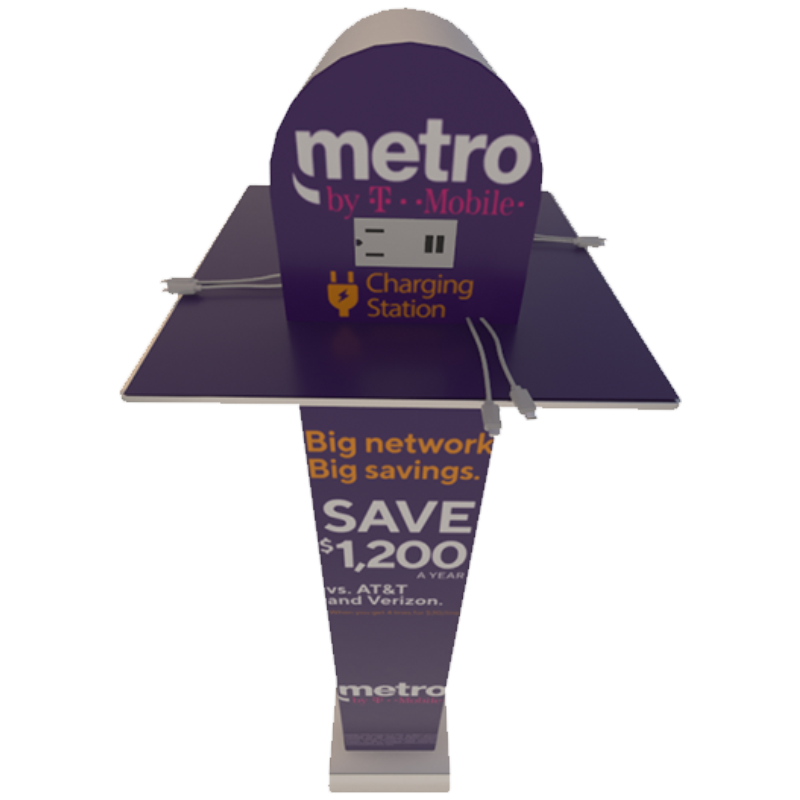 The custom branded Charging Tower is a great solution for various high traffic environments. 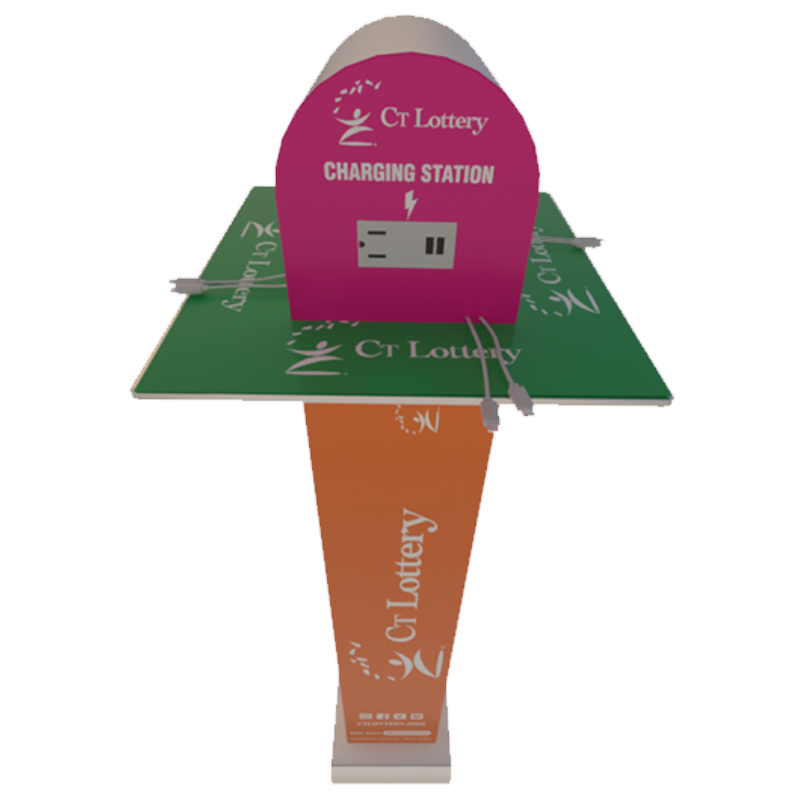 Lounge areas in universities, waiting rooms in health care facilities, soft seating areas in malls, airports, and service areas can benefit from a Charging Tower with a smaller footprint. 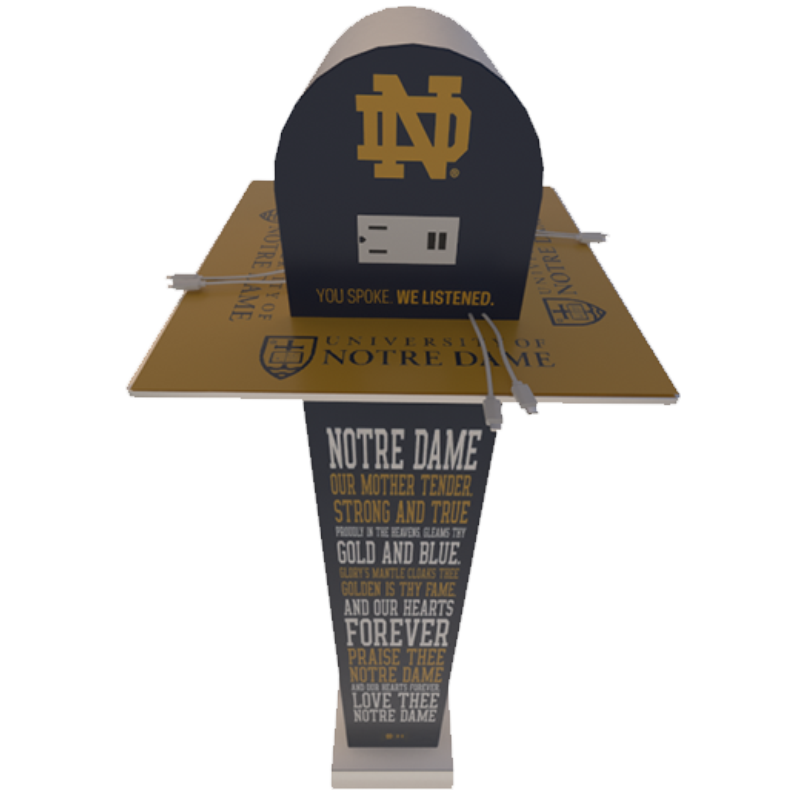 Customize it with your own branding and create a seamless experience for consumers while promoting your message. 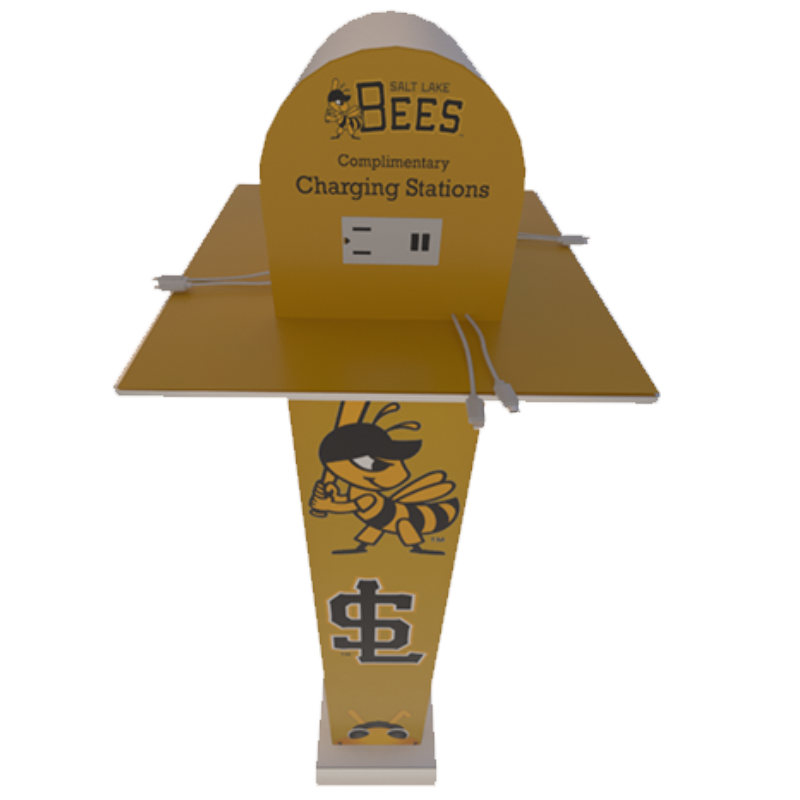 The Charging Tower has three standard electric outlets for laptops or other devices that require a power cord. It also has six USB ports, and six light-up charging cables, charging a total of 15 devices. The cables are illuminated with a red LED charging a device and a green LED when fully charged or disconnected. The Charging Tower is a simple, yet powerful solution. 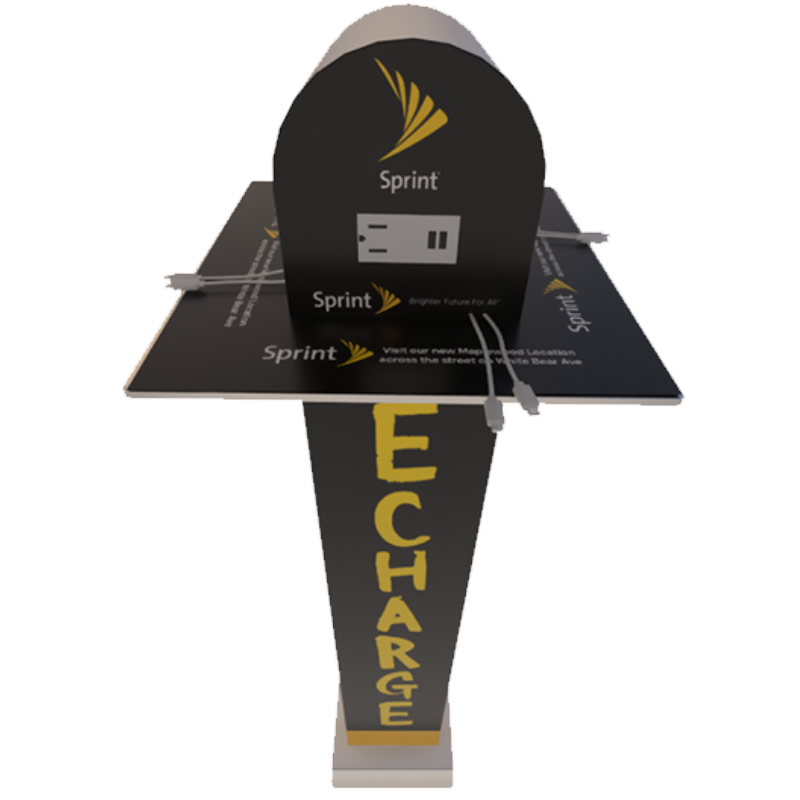 ECM Media offers charging stations that allow consumers to charge their cell phones for free. We go where you go, so that you never have to worry about your cell phone battery.